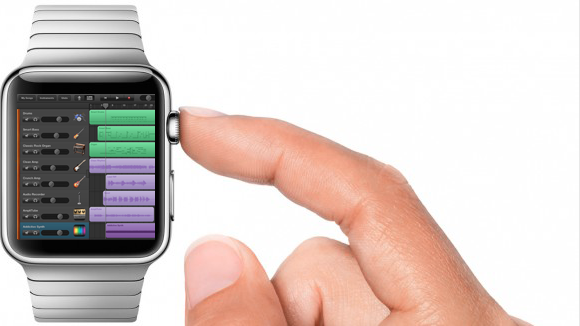 Short version: It’s no WatchBand, but it’ll do. First of all, I had some good conversations with folks about GarageBand. I’ve been very vocal about my dislike for last year’s version, and some took it as a generic “OMG I hate GarbageBand” as if I won’t stoop to using it or something. Let’s be very clear here. When I started teaching in 2004, GarageBand was released that year and basically no one taught Music Technology. The software was esoteric and hard for outsiders such as typical educators like myself to understand. I didn’t know why you’d need things like track effects or bus groups because I had no idea what any of it meant. GarageBand represented an actual accessible starting point for those of us who wanted to make music on the computer but had no good entry point. So fast forward 10 years and an entire career built in part due to GarageBand. Last year, after GarageBand 10 was released I installed it and started upgrading my projects for my beginner class. Immediately I started noticing things were missing. My projects were going to have to change big time to keep using GarageBand. Of course, I could have just stayed on the old version – lots of smart people I know did exactly that. But why build a curriculum around a product I’m not excited about? One that I’m wary of updating? This was not an option either – I can’t passionately get kids excited about making music on a product I’m not terribly sure has a future. Even though I have the old version, students who like the course and buy a new Mac will get stuck on the new one. It’s Final Cut Pro X all over again (disclaimer: I liked Final Cut Pro X, but I totally understand how professional video people felt when it was released and had a huge feature set missing). The key here is communication – Apple is great at running developer and public Beta versions for it’s important apps like OS X and iOS. So why not just call something totally unfinished like FCPX 10.0 and GarageBand 10.0 what it is? Unfinished! Taking the features out without communicating that they’re coming back sends the message that “you don’t need those anymore.” Sometimes this is necessary, but with professional tools this needs to be clear as a bell. So on to yesterday’s version. One thing is clear to me: Apple is pretty confident that their main user base for this app is Guitarists. Podcasting support is pretty much out (including that excellent Ducking function – giving meaning to autocorrect users everywhere). Same as last year, the look is decidedly Logic-Lite. The wood panels are still there, but they’re much more slim. Column panels snap out from the left side just like Logic has done since they went single-window. As for me, I miss the animations but for people who had trouble considering GarageBand a serious-enough tool for music making, maybe these changes are welcome. It’s not like my software of choice looks any friendlier, and kids seems to like that just fine too. 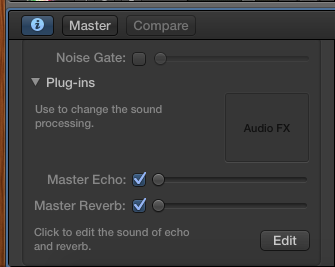 One thing that still bothers me about this new version is the perceived lag during recording. When you hit record and speak into the microphone, the waveforms should more or less appear in real-time on the screen. In this version (still) the waveforms redraw every couple seconds and it implies that the computer is having trouble keeping up with this simple task. It doesn’t give me confidence that it’s not going to crash under a heavy load, and it certainly doesn’t compare well to other DAW apps in this regard. Whether there is actual audio lag or not, this is a big concern I think – the whole argument of choosing a Mac over a PC for audio production hinges on the thesis that audio handling has less latency and more stability on Mac OS X than on Windows. It certainly still does, but the vendor-made bundled app lagging like this out of the box might make people think other wise. So here’s hoping they continue improving GarageBand. For whatever internal reason they decided to do a ground up rewrite, I’m hoping they recognize the thousands of educators now relying on this software to be easy, foolproof and friendly. It’s not like there is a competing product really – the competitor to having a GarageBand-based Music Tech course is simply to not have one at all. We’re relying on you, Apple to keep this movement alive. Okay, onto the good stuff. They’re located in the Smart Controls, and have to be revealed with the “i” button. Not a terrible system, and I’m digging the inclusion of the core set of Logic effects (the old GB Track Reverb was it’s own thing, for instance). This is a big deal – last year’s version implied that this type of detail was out of the question, and it’s nice to see them back. On the other hand, seeing this also implies that GarageBand is on a different track than iWork – feature parity with the iOS version is apparently not a priority here. With the pencil tool, the way the good Lord intended. This pairs well with last year’s inclusion of the ability to copy and paste automation with regions. Paired with the other Amp Designer, you’ve got serious tools for guitarists. 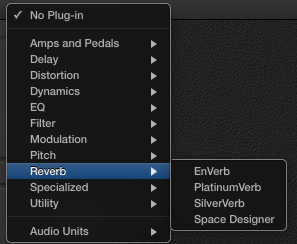 I’m pretty sure there was a version of Logic that charged an upgrade fee just to use these plugins. Way cool, way pro. In conclusion, I’m fully expecting the newly-unified Apple Inc. to continue incremental improvements to GarageBand and allowing this new version to flourish into a great reason to have a Mac lab in your music department. Maybe someday I’ll move my beginners back to GarageBand too – the projects still work, mostly. For most folks, GarageBand 10.0.3 will be just fine software on which build a curriculum. For me though – I’m waiting until it’s airtight again to switch back. TI:ME Members and non-members alike can logon to check out our free Symposium on Music Tech Pedagogy that is happening right now. I’ll be speaking at 3:00pm EDT about the types of projects I like to teach and the methods I use to teach composition to kids with little or no music experience. Jay Dorfman – TI:ME’s national president and all around great guy from Boston U. Bill Bauer – Bill used to serve on the Ohio TI:ME board before moving to sunny FL. He’s one of the smartest and most earnest people in the field, and his research into music learning methods in the digital age are second to none. The other two speakers, Chris and Adam, I don’t know as well but I wouldn’t be surprised if their accomplishments are right up there with the others. Be sure to log on today to check out what’s going on right now in our field. Of course, instead of an iPad, today’s aspiring music technology junkies could buy a computer-based system. Whatever route you take, there is still a bunch of other ‘stuff’ (mics, headphones, speakers, software) you have to acquire alongside the computing platform itself and I’d absolutely agree that the laptop (or desktop) system is likely to be more powerful than the iPad. That said, I love my mobile iPad-based music workstation and, despite its more modest grunt, it’s still a capable device for crunching zeros and ones. However, price and power aside, lots of today’s aspiring musicians have bought into mobile devices for other reasons. For them, and for their overall IT needs, it is simply their computing platform of choice. The fact that it can do music technology is, for many, a bonus, but one they can happily exploit with relatively low additional costs for software. The last part is tricky for schools. For many aspiring musicians “the fact that it can do music technology” is simply not enough. They want to “do music technology” the way the pros do, and that’s with “computer-based systems” (probably meaning laptop or desktop computers – technically stomp boxes are computer-based systems). But yeah – when you sit back and think about it it’s pretty amazing that you can just plug a guitar into your phone and lay down tracks. The world is crazy. 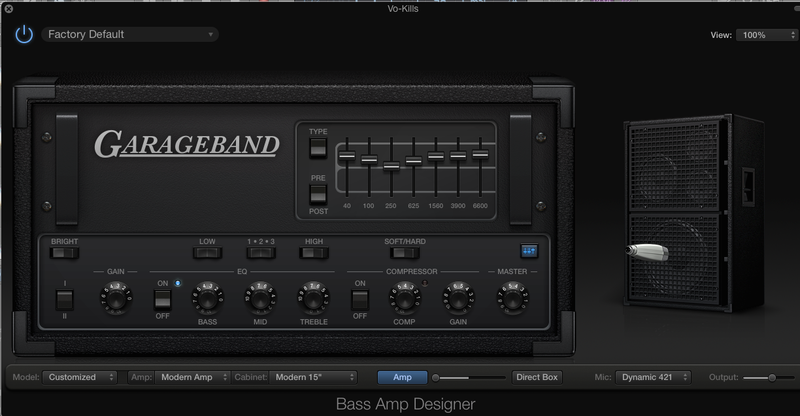 One day after Jack was announced, Audiobus was officially canonized with its inclusion in GarageBand. No coincidence that Jack was to be released on iOS and Android, possibly leveling the playing field. I’d wager this will persuade the team behind Jack to focus less on iOS than Android – a third party (especially a niche like Audiobus) supported in GarageBand is a strong statement of preference by Apple. It seems that Apple is then going to use Audiobus as the Rewire for iOS. Smart move, and a big leap from where things were a year ago. Once it’s in GarageBand, you can be assured it will be supported for some time (Apple similarly adopted Audiocopy last year along this same logic). The simple interface exponentially increases the iPad’s value as a music creation tool by letting you do all the recording and sequencing on a single device without complex file imports, as well as enabling apps to talk to each other. For example, you could now record a synth track in Korg’s iMS-20, filter it through the Amplitude amp modeler, and record the results as a track in GarageBand. Remember, the big news is the Rack Extensions. It’s the only way forward on future platforms like iOS. Even with cross-app audio APIs, providing curated plugins (rather than manually added ones) seems to be the ideal way to provide add-ons for your audio software in the new sandboxed era of computing. Ableton: Max for Live could conceivably become their version of an “internal” add-on store. FL Studio: Synthmaker patches could serve this purpose as well. Logic: Apple can use the architecture from GarageBand lessons to provide add-ons within the app (you could say the “jam packs” are a precedent as well). Skate to where the puck is headed, audio companies. With Microsoft sandboxing Metro, and Apple becoming the GateKeeper, there’s no question that external add-ons are on the way out. Here’s an interesting tidbit buried among all the other Apple news: Apple bought a small Italian plugin company. AutoSampler has been designed to be as simple as possible to operate. For sampling an hardware instrument, you just need to connect it to your Mac through MIDI and audio cables. The MIDI synth is sent a sequence of notes at various pitches and velocities and each sample is recorded, trimmed, normalized, saved and automatically inserted at the appropriate place in newly created instruments. There are literally tens of thousands of commercial and freely available EXS24 sounds available on the internet. Drum loops, vintage analog synths, everything. With GBSamplerManager you can easily use them in your GarageBand iOS projects. And if you want to migrate your hardware and software synth sounds to GarageBand iOS you can purchase the simple one-click AutoSampler application on your Mac to create your own sampled sound library. A) Apple already copied Redmatica’s core apps and they’re being swell and offering them jobs because their products will likely no longer be relevant. Expect a big release soon with all of the cool sampling features. B) There isn’t going to be a major GarageBand release until at least 6-8 months from now, giving them time to implement Redmatica’s software. Expect a big release in 8-12 months. Either way, this acquisition tells me that Apple is serious about improving the state of affairs on Mac GarageBand, which is a good thing for everyone – if Apple is trying to improve their audio products, the OS is going to stay ahead of the game as well.